Situated at the western end of Chesil Beach and forming part of the World Heritage Jurassic Coastline, West Bay offers two unspoilt beaches either side of its quaint fishing harbour. The historic market town of Bridport is less than two miles away, offering supermarkets, shops, medical centre, hospital and leisure centre. Bridport also holds twice weekly open air markets, including a popular antiques market and a monthly organic market. 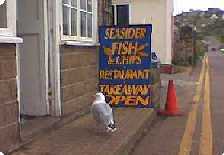 Lyme Regis, Dorchester, Abbotsbury Swannery and Charmouth are all a short distance away. West Bay is located on England's South Coast. 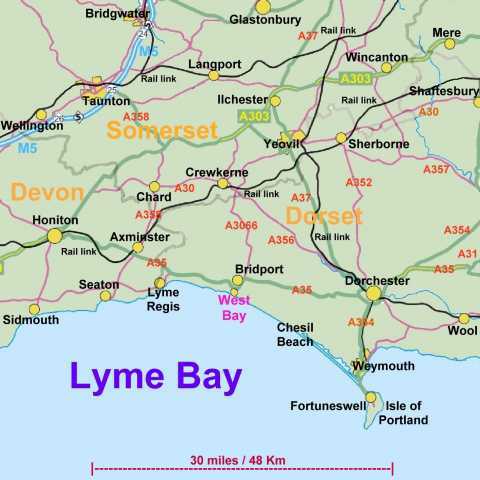 It forms one of the coastal towns of Lyme Bay, which itself is towards the western end of the English Channel. 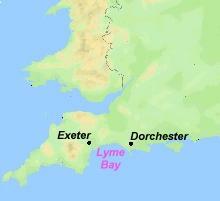 The nearest regional airports are at Bournemouth and Exeter. From Temple Meads take the train to Dorchester West. From New Street, either take the train to Dorchester West via Bristol or take the train to Dorchester South, changing at Southampton Central. Alternatively, stay on the train to Weymouth then take the X53 Jurassic Coast bus directly to West Bay.